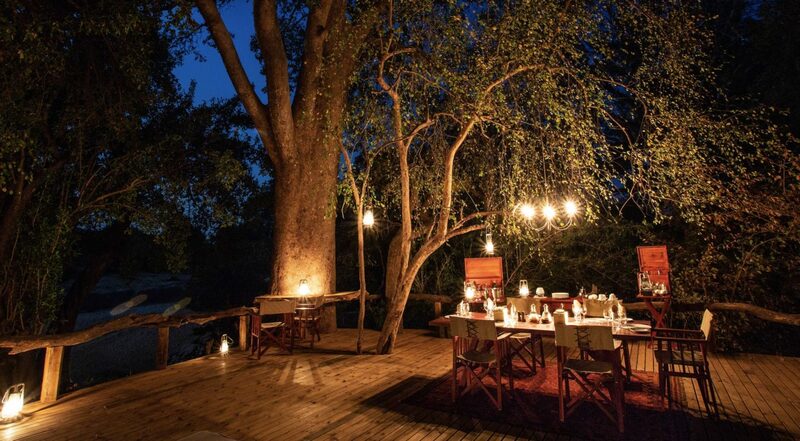 Set inland along Zimbabwe's seasonal Sapi River, the Sapi Springs Camp, sister-camp to Sabi Explorers Camp, affords intrepid guests the opportunity to live out their wildest safari expedition dreams. 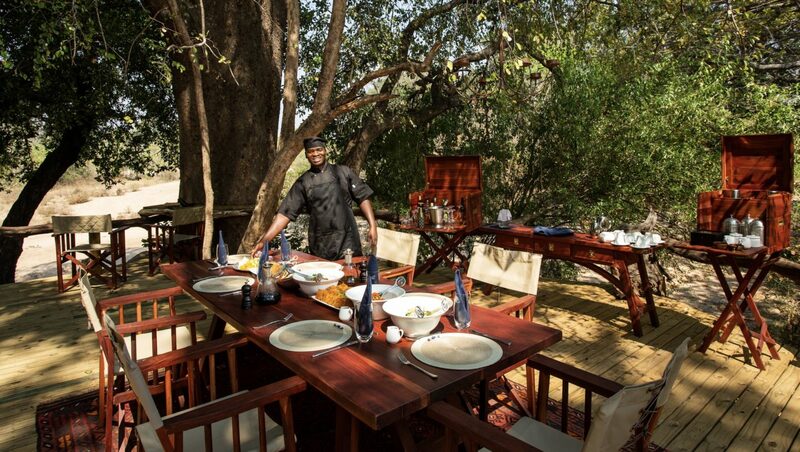 Perched under the lush canopy of indigenous trees, guests can take in the beauty of its natural surroundings sleeping in an open-air room shaded by tangle of tree branches while taking in the brilliant African stars and constellations. Immerse in the simplicity of nature and thrill of listening to the night’s soundtrack of wildlife calls where the demands of the outside world are worlds away. After a morning game drive, guests can gather around the open-air main area of the camp nestled under the shade of a Strangler Fig to watch the variety wildlife from Lillian's lovebirds, sand grouse and other birds visit the spring for water. In addition to relaxing at camp, guests embark on guided walking safaris and exploring on foot, intermixed with wildlife drives in open vehicles where you will explore further into remote interior of the Sapi Reserve and end the evening with a decadent sundowner. The 118,000-hectare private Sapi Concession was awarded to Great Plains Conservation in 2016 to manage and nurture its development. Transformed as a former hunting reserve to a photographic one, the exquisite areas of the private Sapi Concession and neighboring Mana Pool, comprise of 337,000 hectares of protected wilderness. 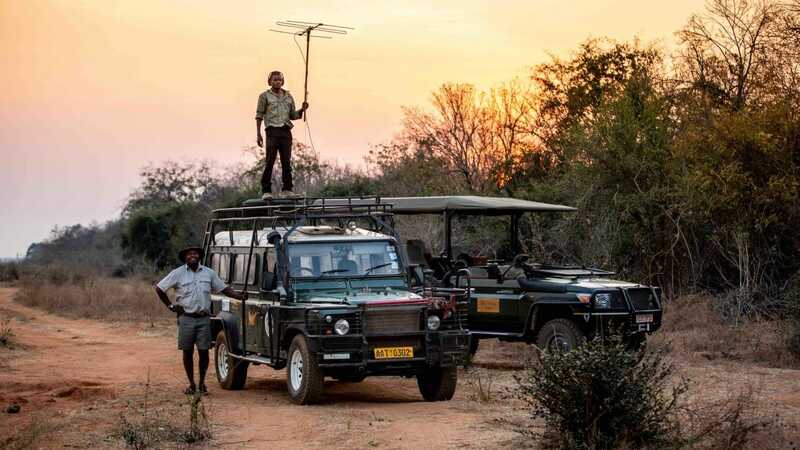 Both set the stage for this discovery mission that will appeal to the serious safari guests searching for the thrill of tracking and exploring Africa’s remote wilderness. 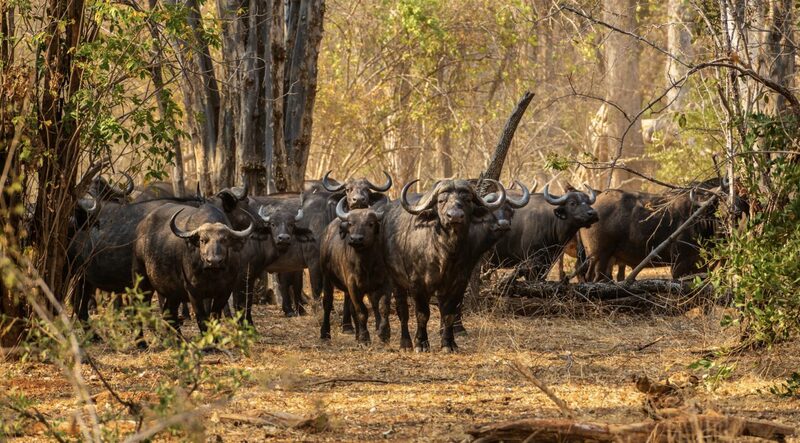 Collectively they meld into the core of the Middle-Zambezi Biosphere Reserve and together with the Chewore Reserve form a UNESCO World Heritage site. There is an on-going support and international co-operation regarding conservation of wetlands and the wise sustainable use of their resources, especially those providing waterfowl habitat. 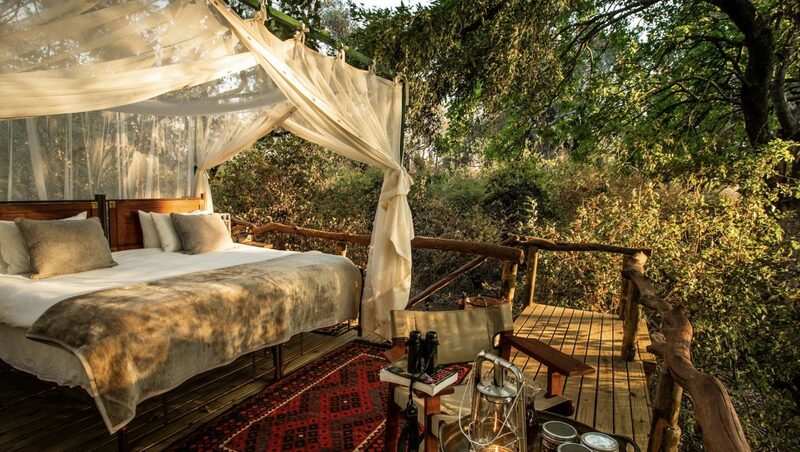 Experience the romantic ambiance of sleeping in the one of three rustic open-air rooms perched on a raised platform in a canopy of an indigenous tree. 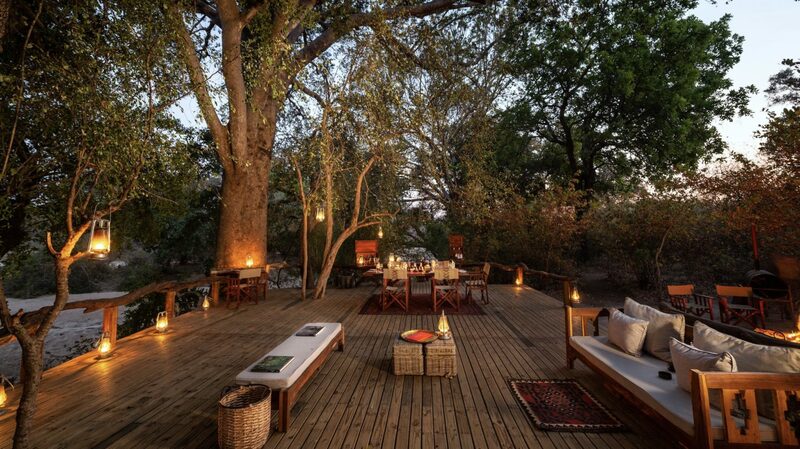 Gaze at endless blanket of shimmering African stars and fall asleep to the lulling soundtrack of wildlife calls. Boasting a king-size which is elegantly appointed underneath a mosquito net. Each room has a ground level sitting area with a second bedroom and en-suite bathroom, which includes a flush toilet and bucket shower. A maximum of 6 guests plus an additional guide’s tent required. Recommended for children 12 years and older. Set in the sprawling private Sapi Concession, the Sapi Explorers Camp starts and ends at the Sapi Airstrip. It is a 40-minute drive from Victoria Falls. Complimentary road transfers to/from the camp are included.